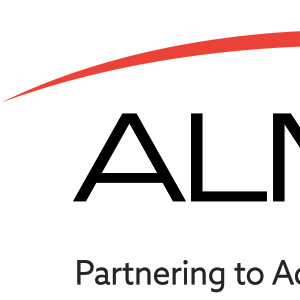 Once a company has a logo this is only the start of the journey for that design, it is the organic growth of that logo onto the company's corporate literature and stationery that truly gives the overall corporate look and feel. 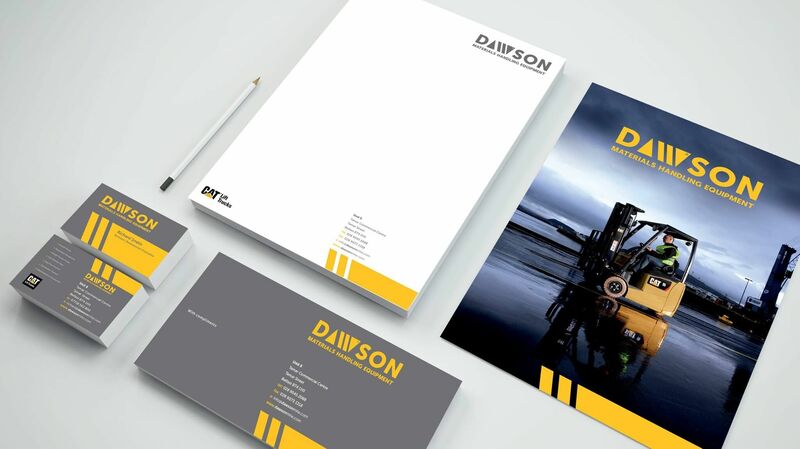 Power Advertising developed Dawson MHE corporate look creating a stylish and impactful corporate design that really conveys the company's European pedigree. Though the world revolves around digital marketing there really is no substitute for a well crafted piece of print. The feel of the paper, the quality of the photography and the fantastic look. 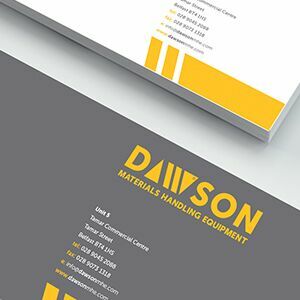 From a beautifully crafted business card to a striking piece of direct mail, design still has its place. Power Advertising can bring a new style and passion to all of your design requirements, whatever the size, shape or market let our experience bring your design to life! 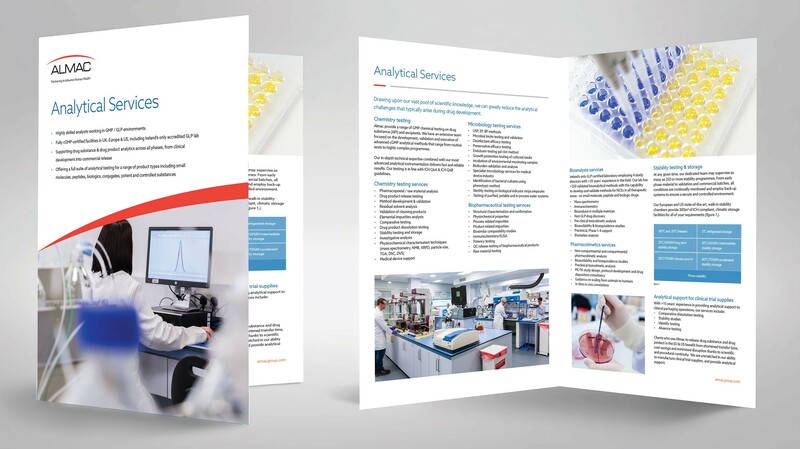 All of Almac's marketing literature is produced to stringent guidelines but one of the biggest challenges is making pharmaceutical information look smart, compelling and pleasing to the eye. 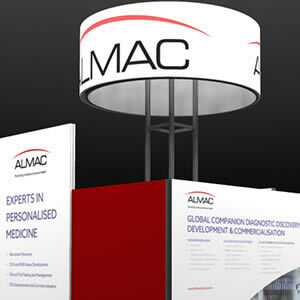 For the past 5 years Power Advertising has been producing Almac's literature, making sure that whenever a business development consultant or marketer from Almac goes out into the business world of pharmaceuticals he or she has all of the design weapons they need to covey Almac's product and services to the highest level. 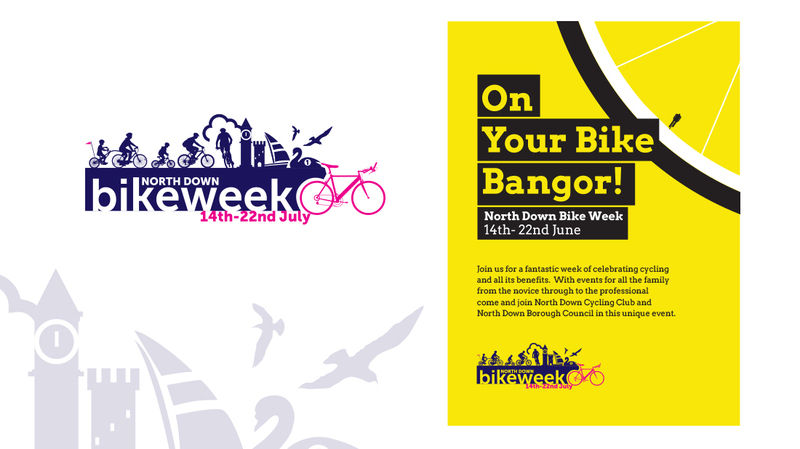 North Down & Ards created an initiative called 'Bike Week' to extol the virtues of getting on your bike and getting fit. 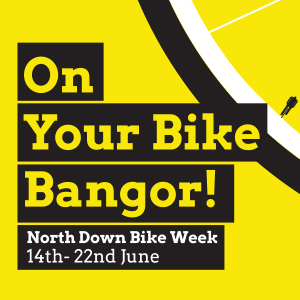 We created the overall brand identity and then rolled this out with a witty campaign of "On your Bike Bangor!" It created a real buzz around the whole of the county and helped deliver the council's wish of getting people to see cycling as a great fitness activity. 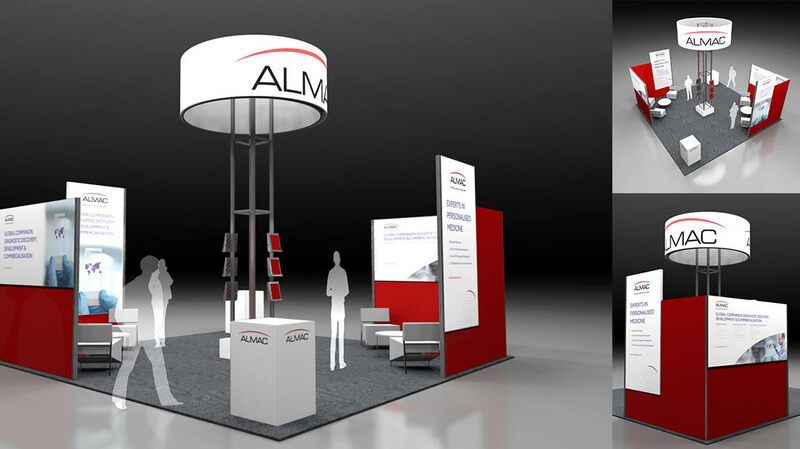 Power Advertising has a wealth of experience in exhibition graphics - from a simple 'Quick and Easy' pop-up stand or a more robust, graphically impactful nomadic stand to a high-end, bespoke superstructure exhibition unit - Power Advertising has the experience and know how to enable your exhibition graphics to turn heads.